This Agreement sets forth the Terms & Conditions between Unveil Travel Planner SRL, J40/3850/30.03.2015, CUI 34303750 and Tourists who purchase travel planning and consulting services (“You”). This Agreement explains how you purchase the aforementioned services and specifically limits the liability of Unveil Travel Planner SRL. You must read this Agreement before requesting our services. Using any part of our Website indicates your agreement in complying with all the Terms & Conditions. Requesting our travel services constitutes an agreement to all terms & conditions in this Agreement and you warrant that you understand, agree to and accept all Terms & Conditions contained here. If you do not agree on the Terms & Conditions of our website, please do not use this Website or book services with us. We reserve the right at any time to change or update the content without prior notification. Continuing to access and use this Website implies your acceptance of any additions and alterations to the Terms & Conditions. www.unveilromania.com contains intellectual property owned by Unveil Travel Planner SRL, unless it is recognized as belonging to other third parties and includes all text, photographs, graphic images, brand name, logos, trademarks, trade dress, copyrights, concepts, proprietary information and other intellectual property. You may not modify, publish, transmit, participate in the transfer or sale of, create derivative works from, distribute, display, reproduce or perform, or in any way exploit in any format whatsoever any of the www.unveilromania.com content, in whole or in part, without out prior written consent. You have no right or license to use such trademarks. By violating the intellectual property rights owned by Unveil Travel Planner SRL, the company reserves the right to sue you for prejudice and ask for compensations. Travel planning and consulting services including tailor-made services ranging from trip planning, coaching, booking assistance and on-trip support. Offering “booking assistance” means that we limit ourselves exclusively to offering suggestions and advice and that we do not take commissions from third parties and also that we do not book directly using the bank accounts of Unveil Travel Planner SRL. We receive payment only for travel planning & consulting services, our clients having to pay the vendors or other recommended third parties directly and by themselves. Guided tours and day trips. All tours are private and are leaded by an English speaking guide. All our travel services are made through our website, www.unveilromania.com, which is a communications system that enables the connection between you and Unveil Travel Planner SRL. 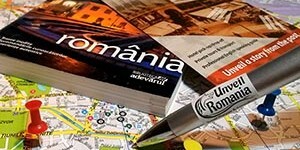 You can request any of our services directly, by using our website www.unveilromania.com. Upon receiving your request form, one of our team members will contact you and together you will set all the details of your journey/tour. Deposit: You are required to pay a non-refundable deposit of 50% of the full amount of this service upon accepting the Proposal. The deposit will be made through Online Bank Transfers based on the payment details mentioned in the Proposal. Other means of payment can be accepted, but only after an express request from the client. Balance: The balance must be paid one week before the trip date. If we do not receive a Final Payment, we assume it as Cancellation and, as stated above, there will be no refund of the initial payment. Deposit: You are required to pay a non-refundable deposit of 50% of the full amount of this service. The deposit will be made through Online Bank Transfers. Other means of payment can be accepted, but only after an express request from the client. Balance: The balance must be paid when the visit occurs. If we do not receive a Final Payment, we assume it as Cancellation and, as stated above, there will be no refund of the initial payment. If you renounce the travel service package under this agreement by your fault, you are liable for penalties from Unveil Travel Planner SRL. It is not considered your fault only if Unveil Travel Planner SRL fails to deliver everything mentioned in the agreed Proposal, prior to the cancellation. It is not considered “failed delivery” if Unveil Travel Planner SRL sends documents via email and they don’t reach their destination as long as Unveil Travel Planner SRL can prove that the documents were sent. As a practice of good faith, Unveil Travel Planner SRL will take all necessary actions to make sure that the documents do arrive and confirm this with you. Tours cancelled within 30 calendar days before the tour starts will be fully refunded, minus the bank charges. Tours cancelled between 30 to 10 calendar days (including) before the tour starts will include a 30% refund. Prices are presented in Euro. The parity that we consider at Unveil Travel Planner SRL is the one provided by http://www.xe.com/currencyconverter/. Our prices include only what is listed on “Services” section on the Website. Within the limits of our obligation to exercise the care and diligence of prudent service providers, we warrant that the description of all specified travel services is correct at the time of the creation of the website, that the service providers (hotels, transporters, and others) have been properly selected and procured and that our consulting packages have been conscientiously prepared. Unveil Travel Planner SRL is not responsible or liable for the operation of any third-party service provider which may provide service to the traveler. This includes, but is not limited to, the failure of public transportation to operate as planned or museums and other attractions to open as scheduled due to renovation of objectives and the like. If an unforeseen event of force majeure (e.g., war, riot and civil unrest, Acts of God) occurs and it must be expected, on the basis of an objective weighing of all circumstances, that carrying out your desired activities would become substantially more difficult or involve a substantial risk, Unveil Travel Planner SRL will not be held responsible. This provision shall also apply if your vacation has already started. Unveil Travel Planner SRL is not liable for any loss or expense due to injury, damage, loss of personal belongings, accident, delay or inconvenience resulting in part or entirely from causes beyond its control, the negligence of any person or company performing any of the services involved or negligence of the traveler(s) while following any itinerary, advice or recommendation. The responsibility for complying with the road traffic regulations shall lie with you. You shall be liable for any loss, damage or injury you may cause to third parties. If you have personal liability insurance, it may provide coverage for such contingency. Unveil Travel Planner SRL does not supply travel insurance and does not require that you have it. However, Unveil Travel Planner SRL strongly recommends purchasing the appropriate level of travel insurance to protect against unforeseen circumstances. It is the traveler’s responsibility to investigate the insurance company and direct all questions about travel insurance coverage directly to them. Any complaints should be communicated by phone or directly to Unveil Travel Planner SRL representatives as soon as it arises, at office@unveilromania.com.